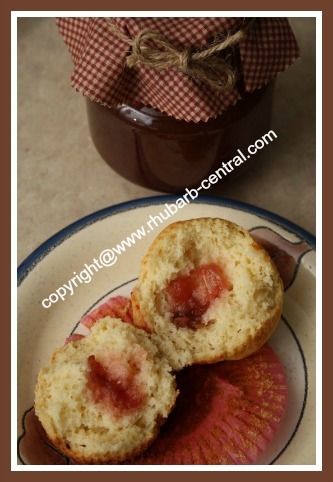 Make this Recipe for Muffins with Jam Centers using rhubarb jam or any other jam, a great baking recipe using jam. The bite into the sweet/tart jam center filling will prove to take your taste buds for a ride! In a large bowl, whisk together the flour, baking powder, salt and sugar together. In another (smaller) bowl, lightly beat the eggs with a whisk, and then whisk in the milk, oil, and the vanilla. Gradually add the milk mixture to the flour mixture, stirring gently, with a spoon, just until combined. Do not over mix, or else the muffins will become tough. The batter will be thick and lumpy. 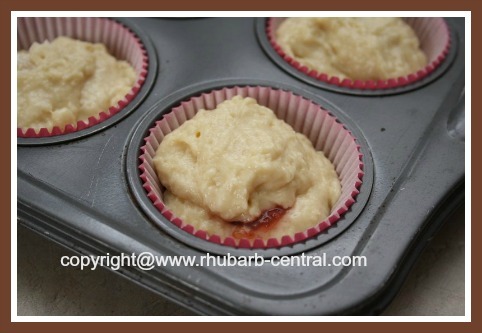 Spoon half the batter into greased or paper lined muffin cups in a muffin baking tray. 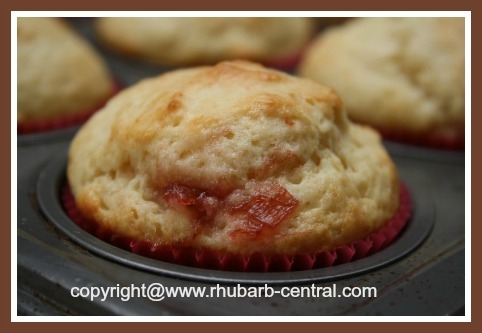 Add about 1/2 tablespoon (or a little more) of rhubarb jam (or the jam of your choice) to the center of each muffin, and then spoon the remaining batter over top. 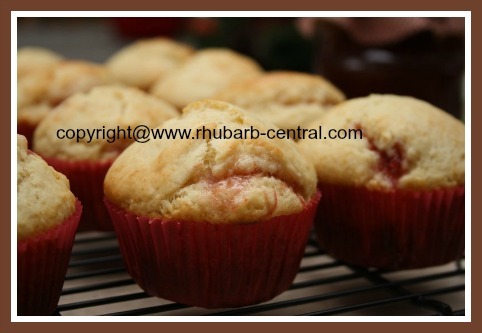 Bake muffins at 400° F for about 15 - 20 minutes or until done. (When the baking time is almost complete, I like to change the oven setting to "broil" and allow the muffin tops to bake a little darker golden brown. Watch out though(!) 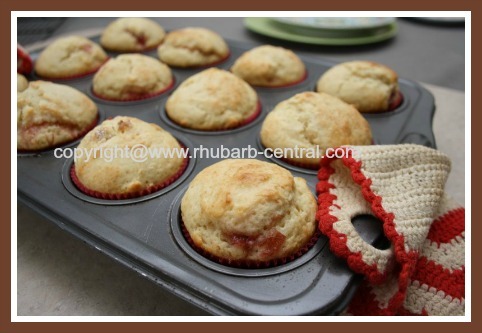 - the muffins will burn very quickly on the "broil" setting. Makes about 12 medium size muffins. 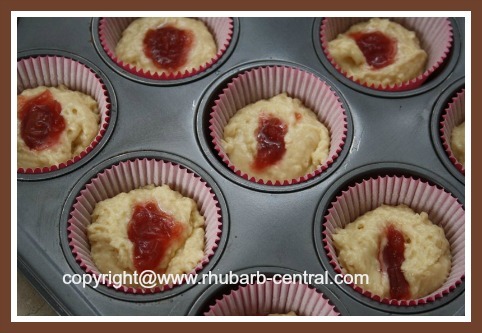 Adding the jam to the muffin batter in the muffin cups. Adding the rest of the batter over-top of the jam.